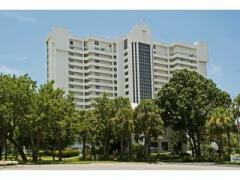 Club at Naples Cay is 14-story high-rise condo tower overlooking the Gulf of Mexico. There are 50 units in the building offering two and three-bedroom, 2-bath floorplans ranging in size from 1,305 to 1,445 square feet. Amenities include a pool, spa, fitness center, tennis court, community room and beach access. Have any comments or questions about Club at Naples Cay? Ask your question and/or share your thoughts about this Building.